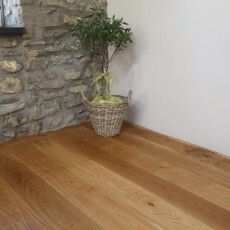 In the excitement of purchasing new oak flooring it can be very easy to forget all of the different products available to help you install and maintain it. If you don’t know what you are looking for it can be difficult to select the products that are suitable for your floor and for your home. We have put together a check list for you to know exactly which products you will and will not need when ordering your oak flooring. 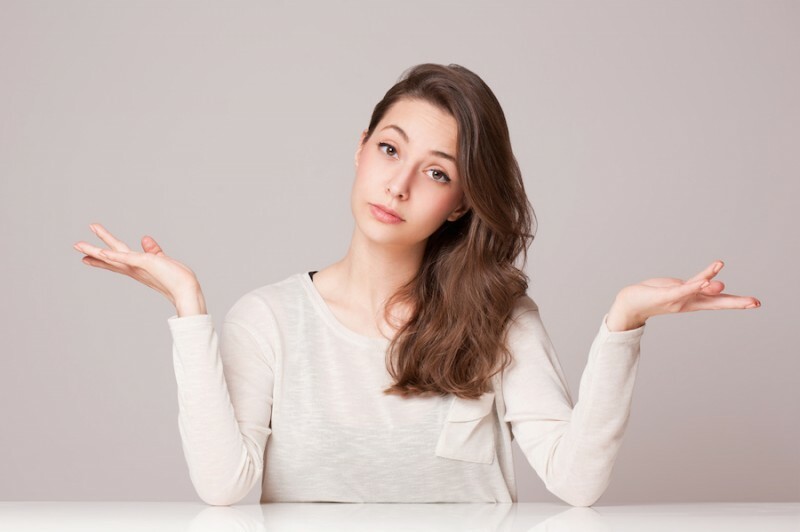 If you are unsure about any aspect of ordering or installing your floor, our team have many years of experience and are always happy to help; you can get in touch with us here. Before looking at the additional products that you might need, make sure that you are choosing the right oak flooring type for your home. 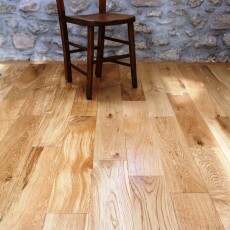 There are some differences between engineered oak flooring and solid oak flooring and if you want to install underfloor heating, you will need to consider the right type of flooring to install over it as well as think how you want the floor to look. 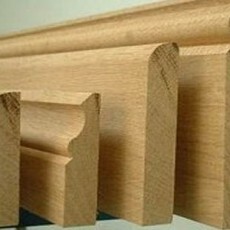 You can read more about the differences between engineered and solid boards here. If you are confident that you can install your floor boards yourself, there are some key products that you will need to help you not only to do the right job, but also to save your knees whilst you are installing it! To lift the old flooring before installing the new boards, having a wrecking bar makes the job easier, quicker and more effective. A tool that has often been described as very good for the back, a subfloor scraper is a strong, forged steel scraper that removes residue from an old subfloor in preparation for the fitting of the new floor. We have gel knee pads available to order in stock so that you can keep comfortable whilst installing your oak flooring and also for when you are giving your floor a clean. These pads are heavy duty and will be the best form of protection for your knees against the solid flooring – you’ll be thanking us later! 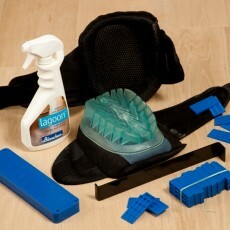 If you are installing your flooring yourself, you might want to consider purchasing kits that are designed to hold the essentials required for getting the job done properly, including gel knee pads, a pull bar, tapping block, spacers and floor cleaner to get your floor shining once you have finished installing it. 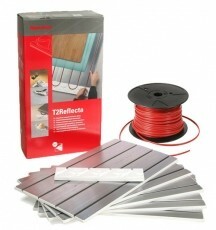 You need to make sure that you are using the right kind of underlay for the floor that you are installing. For example, if you are installing oak flooring over underfloor heating, you will need an underlay like our Sonic Gold Excel Underlay. 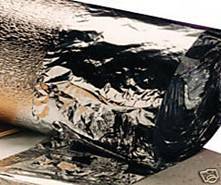 If there is a risk of moisture attack from beneath or for installation over a concrete subfloor, you will need a product like our Comfort Silver Underlay. For ambient noise reduction and especially for use on the 1st floor, a product like Sika Silent Layer Mat Underlay will be suitable. If you are installing your oak flooring yourself, you need to make sure that you are using the right kind of adhesive for the fitting method and type of boards you have. 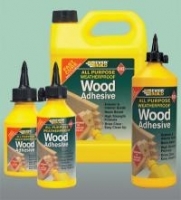 There is a whole range of adhesives available, including Sika 5500S Rigid Adhesive for use with engineered oak boards and Sika T54 Flexible Adhesive for gluing flooring to the subfloor. A small but essential tool for when you are using Sika T54 full surface flexible adhesive is a Sika spreader trowel, which is used for spreading the adhesive to the correct depth. If you are not sure which adhesive is best to use, you can always contact us with any questions through our contact form or by giving us a call on 0800 043 3073. You will need a ratchet clamp to compress tongue and groove boards together to give a tight and secure fit until the joint adhesive hardens. A simple to use ratchet clamp will do the job and is particularly useful if you are using the floating method for installing the floor. You can read more about different methods of installation here. Once your floor has been installed and you are finishing your flooring yourself, a handsaw is always a useful tool to trim skirting boards and architrave. Waxoil is the most popular floor finish if you are installing boards that have an “unfinished” finish, a mix of natural vegetable oils and waxes, protects wooden floors against every day wear and tear. We have a range of colours available to order here. 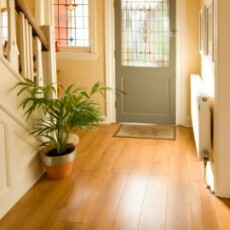 For adding a real shine to your oak flooring, choose a high quality lacquer. 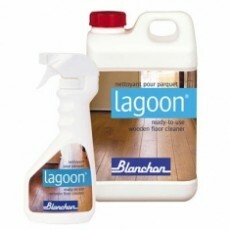 A product like our Blanchon Initial High Build Lacquer will add shine without changing the colour of the floor. If you have particularly high traffic areas, a lacquer which is hard waring like Blanchon Intensiv Floor Lacquer is a valuable option with excellent resistance to spillages and wear & tear. 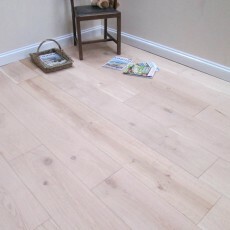 After you have gone to all the effort of installing your oak flooring (or having someone else do it! ), make sure that you protect the floor from the effects of scratches and marks from furniture sitting directly on it by attaching protective pads to the bottom of table legs and sofas, this will keep it looking at its best for as long as possible. Once your flooring has been installed, you want to make sure that you keep it looking at its best and that you maintain it using specialist products designed to take care of oak boards. 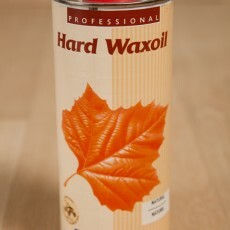 We have a full range of cleaning products suitable for oak flooring. If you order one of our essentials kits, a cleaning product will be included, you can also order cleaning products separately including a 500ml spray and a 3 litre pack from Blanchon.